Bought a new switch to replace rusted out one and am having trouble equating terminals. 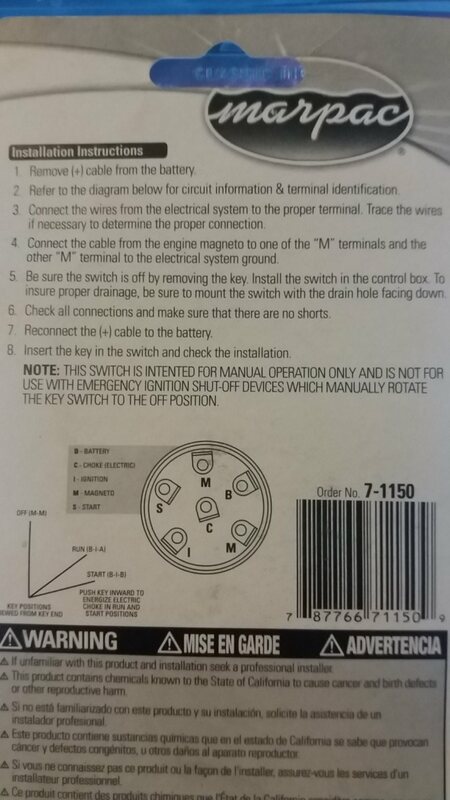 I have attached a picture of the new switch "instructions" and OEM wiring diagram. On the OEM diagram, I do have the optional accessory fuse panel wired for lights, horn, etc (this is note 3 on the diagram). Would this accessory fuse panel be switched? I need it to be. Otherwise, I just need to wire for key switch on = power to accessory fuse panel, and key switch position 2 to turn the starter motor. I think I've stared at these diagrams so long I'm so confused. I don't really trust the letter designations, I'd rather see what the terminals "do". Can anyone help? 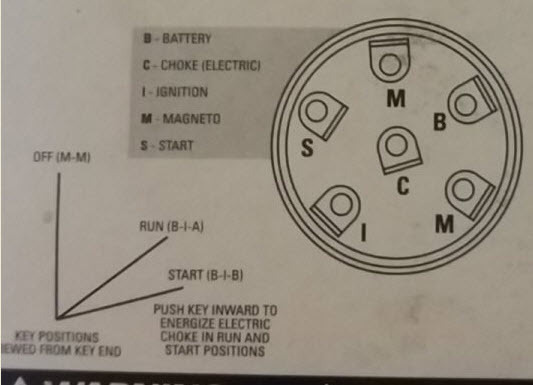 BTW: The yellow wire from the key switch (OEM diagram) goes into / out of the throttle assembly - I'm guessing this is some kind of neutral safety switch. You bought an outboard key switch. You need a 3 terminal I/O and inboard switch. Bummer. I found the correct 3 position switch and ordered. Thank you!